Americans love their beer—consumers imbibed nearly a two pints more beer per person than they did in 2002—and according to experts, beer may love us back, too. Beer guts be damned, the classic brew has fewer calories than most fruit juices and fewer empty calories from sugar than hard alcohol. 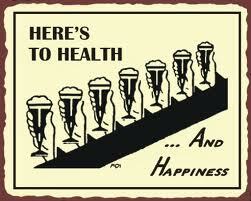 Beer also contains vitamins, minerals and antioxidants. In moderation, it can be good for nerve production, concentration, and circulation.